Larus cachinnans 682H 1CY & 4CY, December 2012 & February 2015, Croatia & Germany. Picture: ringing team Luka Jurinovic & Georg Fiedler. 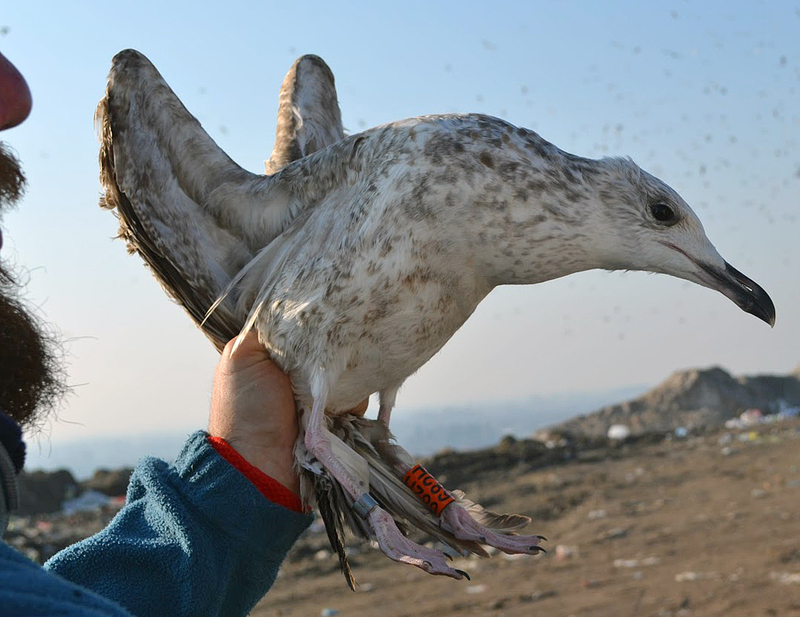 Orange 682H, ringed at Zagreb landfill December 2012. Larus cachinnans 682H 1CY, December 31 2012, Jakuševec-Zagreb, Croatia. 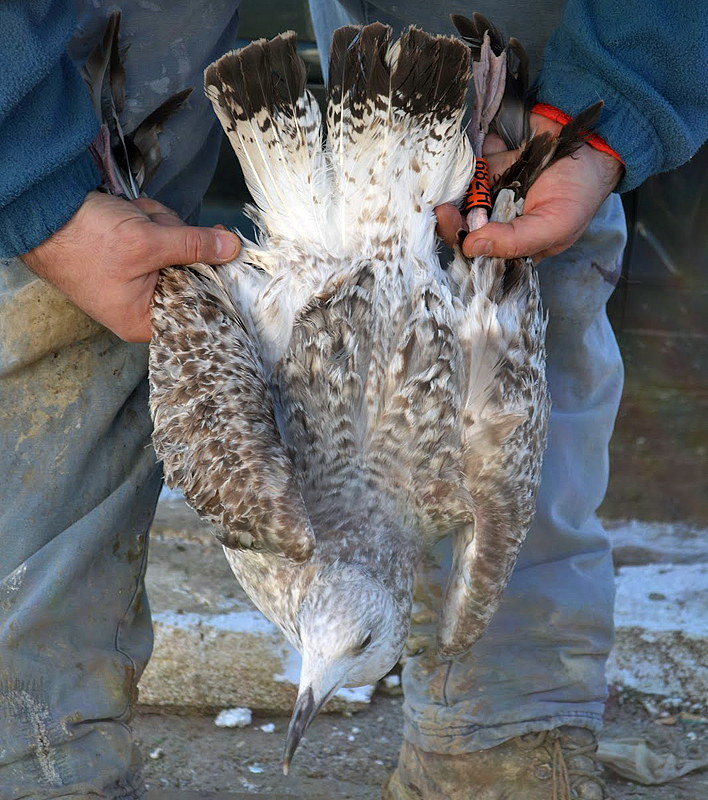 Picture: ringing team Luka Jurinovic. Difficult bird. Note strong resemblance to michahellis: relatively extensive streaking on head especially around eye for cachinnans, Venetian blind effect on inner primaries not obvious due to grow waves. Typically, head shape as in cachinnans with parallel bill and broad tail-band of evenly width towards outer rectrices and multiple subterminal bands on outerweb of R6. Larus cachinnans 682H 4CY, February 24 2015, Wolfsburg deponie - Braunschweig, Germany (52.26´36´N 10.42´19´E). Picture: Georg Fiedler. Head shape has changed a little, now typical for cachinnans. 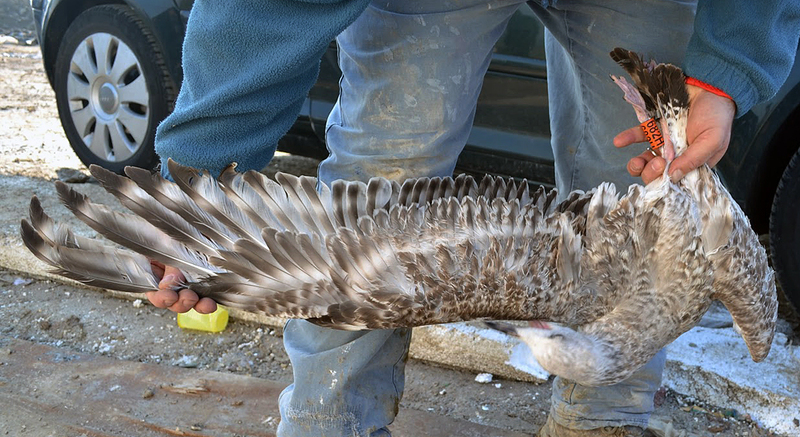 Still immature patterns in coverts.